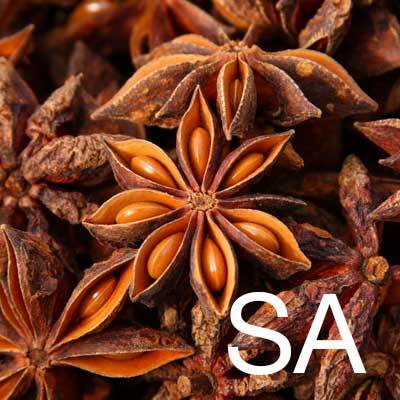 Chinese Star Anise has been used as a spice and medicine for over 3000 years. It was believed in Europe to originate from Philippines, and in 1578 the navigator Thomas Cavendish brought the fruits first to Europe from Philippines, unaware that they actually originated from southern China, as a spice it was soon much in demand for flavouring liqueurs in France, Germany and Italy. Star anise is the major source of the chemical compound shikimic acid, a primary precursor in the pharmaceutical synthesis of anti-influenza drug oseltamivir (Tamiflu), used within skincare, Star Anise is a good insecticide and antiseptic extract.